This iPad Desk Stand is a Multi-Angle Tablet Holder. Users can Display a Movie or Use the Deeper Angle Slant to Type. 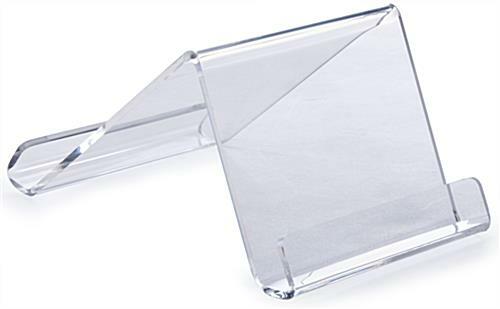 This iPad Desk Stand is Made of Crystal Clear Acrylic. This ipad desk stand is designed to display a tablet in landscape or portriat orientation. These accessories are stable using thick acrylic so users can easily watch a movie, browse through photos, peruse the different applications, and more! 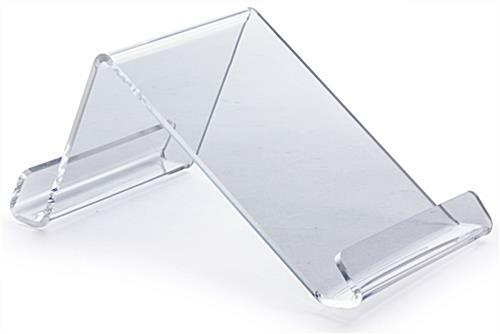 This tablet holder, ipad desk stand that is made of 3/16" thick acrylic is slim to match the sleek nature of the display. The clear color suits nearly any environment. This ipad desk stand that is affordable is also versatile and easy to use. This acrylic display has a minimalistic design so it does not detract from the tablet and does not clash with surrounding décor. This ipad desk stand is also suitable for various other brand tablets. This multi-angle display is highly portable and can be moved to different locations as desired. 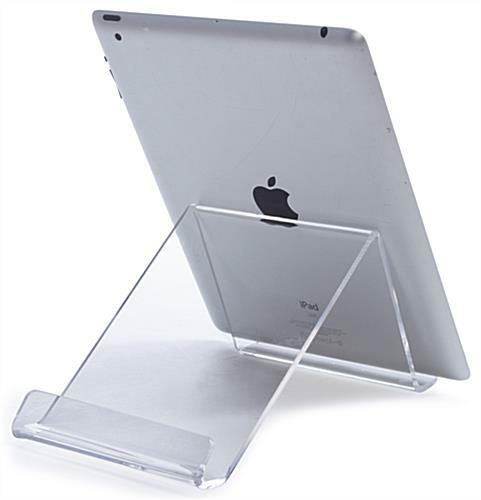 This ipad desk stand is offered at an affordable price and makes an ideal gift! Display options include horizontal or vertical, in two different angles. 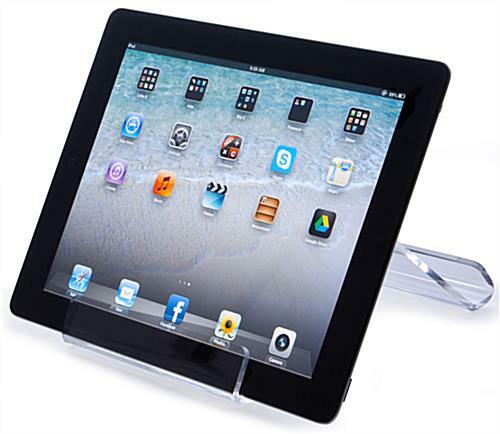 This ipad desk stand is among a large selection of countertop tablet holders offered in this online catalog. 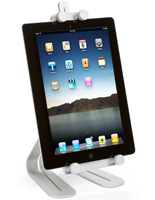 This ipad desk stand is a great value and a modern fixture for any home or business. These crystal clear displays are stable and simple to use. 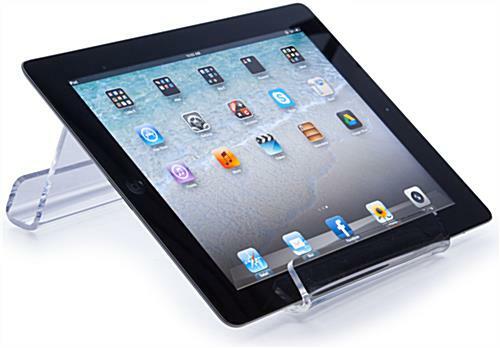 This angled ipad desk stand is an ideal perch for 1st, 2nd, 3rd and 4th generation ipads. Users can purchase the Kensington lock adapter kit with this display in order to provide an anti-theft device. 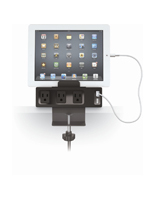 These Apple® accessories can be used in residential or commercial settings. This precision laser cut holder is accurately sized. This countertop holder is modern in appearance to complement the high-tech tablet design. This display can hold up to 5/8" thick tablets.